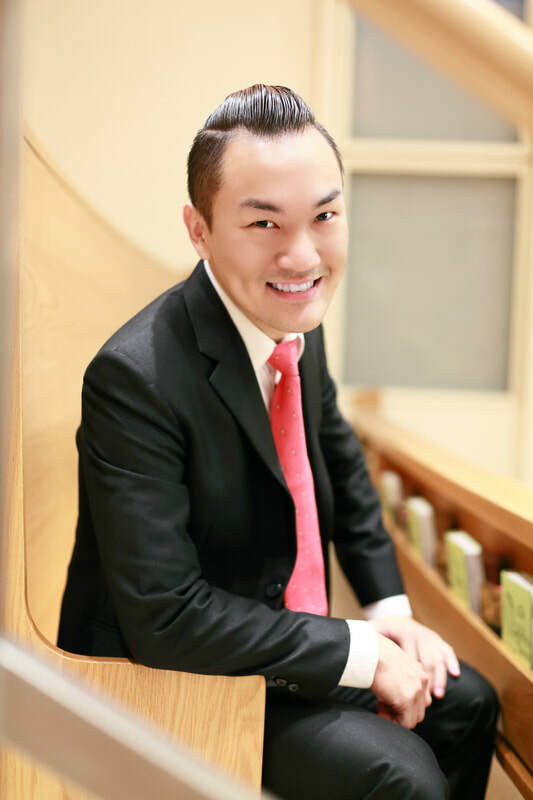 Praised for his "rich and deep countertenor voice" by the Boston Musical Intelligencer, touring performer Malaysian countertenor Wee Kiat CHIA has participated in events in Malaysia, Singapore, Indonesia, Hong Kong, Taiwan, Vietnam, Austria, Australia and the United States. His recent engagements include his 2018 debut with Spot Pocket Opera Theatre, Singapore, his position as a Voice Fellow at the Music Academy of the West 2017, his participation at the Song Continues 2017 with Marilyn Horne, Dame Felicity Lott, and Margo Garrett at the Carnegie Hall, and at the Fall Island Vocal Arts Seminar 2016, where he was given the chance to work with mezzo-soprano Stephanie Blythe, composers Alan Smith and Tom Cipullo.​ Wee Kiat was also a 2017 finalist in the Metropolitan Opera National Council Auditions New England Region. In September 2016, he participated in the professional première of the Beth Morrison Projects’ Ouroboros Trilogy in Boston, covering the roles of Xiao Qing (Green Snake) in all three operas. Wee Kiat was the 2013 first prize winner in the 8th Yin Qi Singing Competition in Malaysia. In 2011, he was admitted into the Salzburg Voice Festival (SVF) and was awarded the Singers’ Award. As a laureate, Wee Kiat participated in the SVF 2012 and his exceptional artistry was once again recognized by the Singers’ Album Award from the organization. In 2010, he won first prize in the Tan Ngiang Kaw/Tan Ngiang Ann Memorial Vocal Competition in Singapore. He was also a semi-finalist in the Competizione dell’opera 2009 held in Bremen, Germany. Wee Kiat made his debut as a soloist in Abendmusiken, a concert organized by the Singapore Chapter of the American Guild of Organists (AGO) in 2007 singing Dieterich Buxtehude’s Membra Jesu Nostri. He was invited in 2009 by the opera company OperaViva (Singapore) to perform in their inaugural concert. He has sung leading roles in operas including Monteverdi’s L’incoronazione di Poppea (Ottone), Benjamin Britten’s A Midsummer Night’s Dream (Oberon), Henry Purcell’s King Arthur (Cold Genius), Jonathan Berger’s The War Reporter, excerpts from Handel’s Giulio Cesare (Tolomeo and title role), Rinaldo (title role), Johann Strauss’s Die Fledermaus (Orlofsky), Mozart’s Mitridate, re di Ponto (Farnace) and Die Zauberflöte (Third Attendant), Paola Prestini’s Gilgamesh (Xiao Qing), Scott Wheeler’s Naga (Xiao Qing) and Jonathan Dove's Flight (The Refugee). He has also sung as the alto soloist in Mozart’s Requiem, Pergolesi’s Stabat Mater, Handel's Messiah, Vivaldi's Nisi Dominus RV608, Bernstein's Chichester Psalms, Bach’s Magnificat, Saint John Passion, Saint Matthew Passion, Mass in B minor and many of his cantatas. He has worked with conductors Federico Cortese, Matthew Aucoin, Speranza Scappucci, Giuseppe Mentuccia, John Churchwell, Ashley Solomon, Scott Allen Jarrett, Andrew Sheranian, Julian Wachner, Steven Karidoyanes, Lidiya Yankovskaya, William Lumpkin, Mark Dwyer, Ian Watson, George Case, Miguel Felipe, Gregory Brown, Nicholas Kok, Stuart Stratford, Perry So, Alan Cumberland, Volker Hartung, Zechariah Goh Toh Chai, Rev. Lee Chong Min and David Chin, and directors James Darrah, Andrew Sinclair, Ceri Sherlock, Jim Petosa, Javier Andrade Córdova, Tara Faircloth, Bob Scanlan, Stephen Barlow and King-man Lo. Wee Kiat graduated from Singapore Nanyang Academy of Fine Arts (NAFA) – Diploma in Music Performance with distinction in 2009. In 2010, He received his Bachelor of Arts (First-Class Honours) in Music at NAFA (validated by University of Wales), and was awarded the Embassy of Peru Award in recognition for his outstanding achievements in various musical disciplines. He was also one of the recipients of the Best Graduate Award. In 2012, Wee Kiat graduated top of his class with Master of Music in Performance at the Hong Kong Academy for Performing Arts (HKAPA) with distinction. He has studied voice with soprano, Nancy Yuen. Currently, Wee Kiat is pursuing his Doctor in Musical Arts (DMA) at Boston University College of Fine Arts School of Music under the tutelage of Dr. Lynn Eustis.